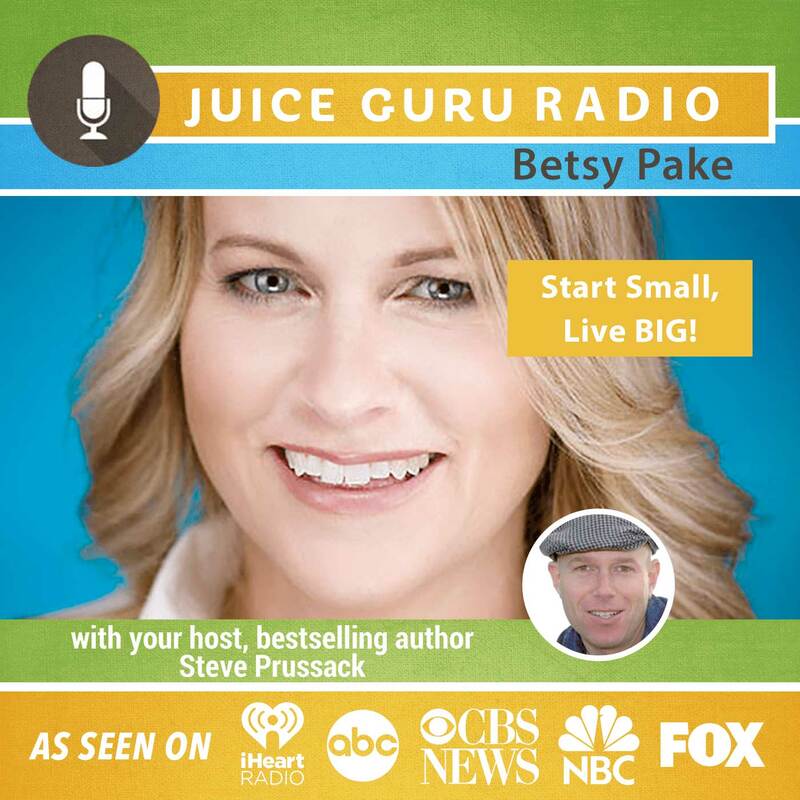 Who: Betsy Pake – Betsy Pake is the author of the best-selling book, Become A Nutrition Ninja and the recent Start Small Live Big. She’s an award-winning business achiever, competitive weight lifter and life strategist who hosts the popular podcast The Art of Living Big. What We Talked About: We all have our own “big life” within us, but sometimes, everyday life takes over. Even if we’ve made changes in the past, we tend to slip back into what we know. How do you make changes in your relationships, your career, your health, or even your finances when life is already moving so fast? Start Small Live Big gives you the framework for identifying which changes will have the biggest impact, how to make those changes happen, and the key to staying on track long term. Small, everyday actions create either the life you want or the life you don’t want. You’re already taking action. Now is time to make sure you are taking the right action. Follow along with Start Small Live Big and create the new framework for your big life. Why I Like Betsy: Betsy is down-to-earth and super-cool. She is gifted with an infectious fun energy and completely glows. Plus, I love that she has recently been transformed through the power of juice fasting and juicing. A real inspiration and rising star, you’ll love Betsy too.